Casting has been announced for the Tony Award-winning musical Come From Away which has its UK premiere at the Phoenix Theatre in January 2019. 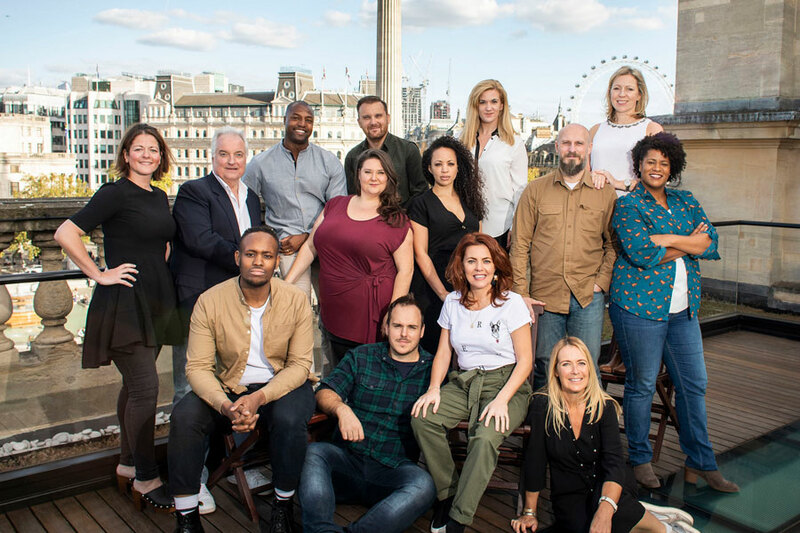 Casting has been announced for Come From Away the musical in the West End which opens at the Phoenix Theatre in January 2019. Telling the remarkable true story of 7,000 stranded air passengers during the wake of 9/11, and the small town in Newfoundland that welcomed them, will be Jenna Boyd (Beulah and others), Nathanael Campbell (Bob and others),Clive Carter (Claude and others), Mary Doherty (Bonnie and others), Robert Hands (Nick, Doug and others), Helen Hobson (Diane and others), Jonathan Andrew Hume (Kevin J, Ali and others), Harry Morrison (Oz and others),Emma Salvo (Janice and others), David Shannon (Kevin T, Garth and others), Cat Simmons (Hannah and others) and Rachel Tucker (Beverley, Annette and others) with Mark Dugdale, Bob Harms, Kiara Jay, Kirsty Malpass,Tania Mathurin, Alexander McMorran, Brandon Lee Sears and Jennifer Tierney. This joyous new musical recounts the incredible true story of how the residents of Gander, Newfoundland welcomed the passengers of planes from around the world. Cultures clashed, and nerves ran high, but as uneasiness turned into trust, music soared into the night and gratitude grew into enduring friendships. On 11 September 2001 the world stopped. On 12 September, their stories moved us all. Earning widespread critical and audience acclaim, the multi award-winning musical continues sold-out, record-breaking engagements on Broadway, and in Canada, with a 60-city North American Tour recently launched in Seattle, an Australian production confirmed for summer 2019, and a feature film adaptation in the works. Come From Away features a book, music and lyrics by Irene Sankoff and David Hein and is directed by Christopher Ashley, with musical staging by Kelly Devine, music supervision and arrangements by Ian Eisendrath, scenic design by Beowulf Boritt, costume design by Toni-Leslie James, lighting design by Howell Binkley, sound design by Gareth Owen, orchestrations by August Eriksmoen, and casting by Pippa Ailion CDG and Natalie Gallacher CDG. T&Cs: Based on 5th March 2019 1 Night Double Room incl English Breakfast 4* Doubletree by Hilton London – Ealing. Band B Seats – 2 sharing.